Picture books have long been used as a source of both entertainment and education in the classroom. For years, teachers have been using the many colorful words and images provided to us by authors and artists to illustrate so many of the things children need to learn in school. We use picture books for everything from helping show children how to behave properly in class (hello, Interrupting Chicken ;)) and how to treat each other with kindness to the specific content information we need to learn in our math, science, and social studies classes. Books can help children develop a sense of empathy, providing windows into the way other people live and grow in our world. And they can act as mirrors, reflecting events, people, and feelings of the readers themselves. 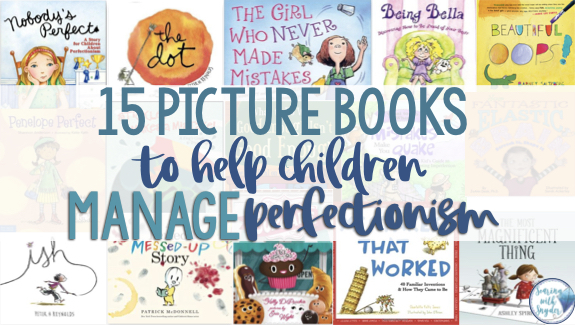 Picture books are also a great way to help children solve problems they may be facing in their lives. This may be particularly true of children who are developing in any way outside the norms of what we might expect of a "typically developing" child (is there such a thing?). 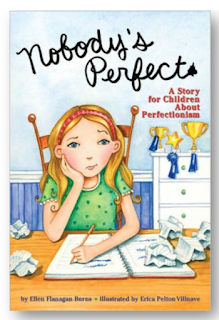 I posted recently about nine ways we can help gifted children manage perfectionism and/or the fear of failure. Using books, of course, is one of the best (and easiest, I think) ways we can help give our students some strategies for dealing with perfectionist tendencies. Tackling books like the ones I'm sharing with you today is one way we can allow children to see their own reflection by showing them other children who have faced similar struggles. 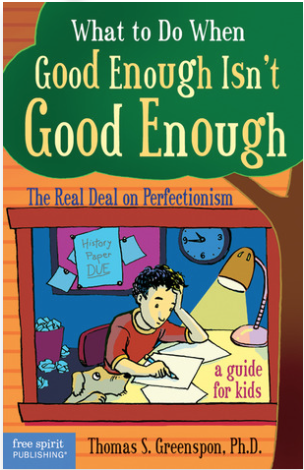 The books can also give them some relatable tools for solving some of the problems that may arise when perfectionism threatens to take hold. The books in this post are suitable for elementary (K-6) school children. 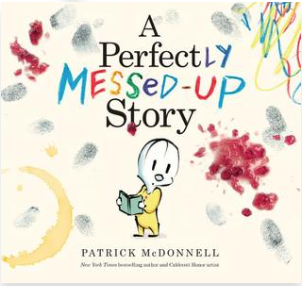 A Perfectly Messed-Up Story is a silly and interactive story about a boy who wants to tell a perfect story but keeps getting tripped up along the way by obstacles and blemishes like a smudge of jelly or coffee on the page from a reader. He gets frustrated but eventually realizes his story is great, in spite of the imperfections. 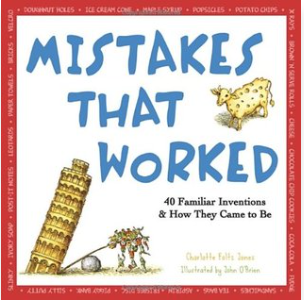 Mistakes that Worked: 40 Familiar Inventions & How They Came to Be is an informational text that tells the stories behinds many familiar inventions that started out as mistakes. 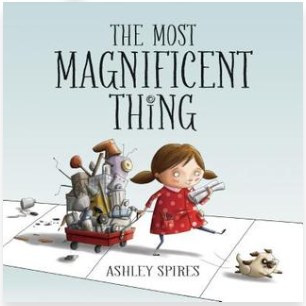 It's an inspirational and engaging book that helps show children the value in making mistakes. 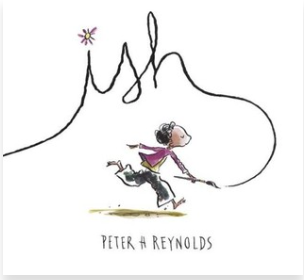 From Peter H. Reynolds, author of The Dot, the book Ish illustrates the story of Ramone, the child who loves to draw, until he was teased for one of his drawings. He spent many months trying to draw pictures that were just right, but he felt like he could never get them just so, and gave up on drawing until his little sister came along offering a new perspective. There are so many applications for this book in the classroom that perhaps you and your students can live "ishfully" ever after. What to Do When Mistakes Make You Quake: A Kid's Guide to Accepting Imperfection is written by two clinical psychologists. 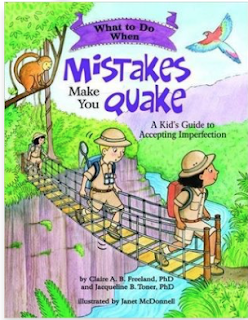 This book uses cognitive-behavioral principles and techniques to help children begin to cope with making mistakes and put their worries aside so they can explore new places without fear. 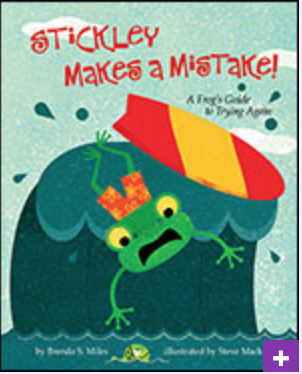 Another book about learning to accept making mistakes, this story focuses on a frog named Stickley. With help of his grandfather, Stickley learns to say, "Oh well," when something doesn't go quite right. Stickley Makes a Mistake is authored by Brenda S. Miles, Ph.D., a pediatric neuropsychologist, and provides tips to caregivers about using the book. 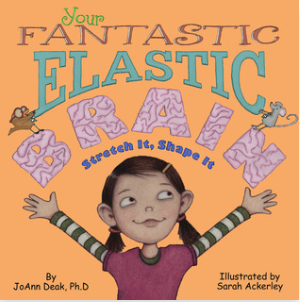 Your Fantastic Elastic Brain, Stretch It, Shape It, is a great informational text that explores what the brain is and the many wonderful things it can do, including GROWING and STRETCHING. It is a great book that focuses on the ever-popular growth mindset. It emphasizes the control and power we all have over our brain's growth, ability to overcome, and capacity to stretch and learn more and more information. Written with the tween (ages 9-13) in mind, What to Do When Good Enough Isn't Good Enough is a book about is a book that teaches children about perfectionism and its potential downfalls. Using realistic vignettes, the book illustrates how kids can face perfectionism and use practical strategies to move away from always feeling like everything has to be just so. The book is written by a licensed psychologist and family therapist, Thomas S. Greenspon, Ph.D. 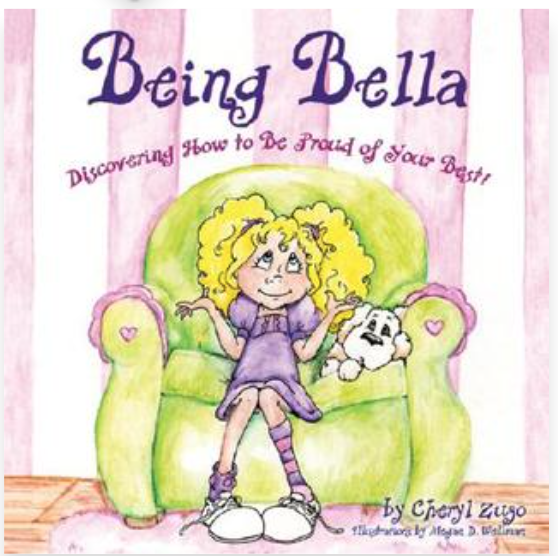 Written by a teacher, Being Bella: Discovering How to Be Proud of Your Best is a story about a first-grade student who faces many typical problems that a first grader is likely to face on any given day. 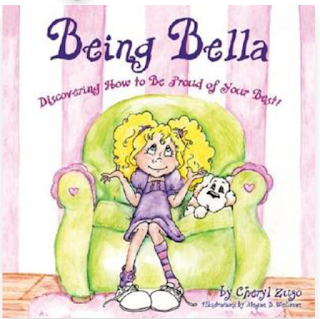 With the help and encouragement of family and friends, Bella starts to realize that everyone makes mistakes, and we can grow from those mistakes. 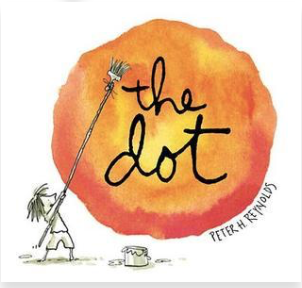 The Dot is a wonderfully written and illustrated circle story by author Peter H. Reynolds that shows how a child once paralyzed by fears of imperfection overcame her fear with the help of an encouraging teacher. This is a great book to use at the beginning of the year or any time your students are struggling with getting started on an activity or project because of their fear of failure. This is an adventurous story about a girl who gets extraordinarily frustrated when she tries something new and fails time and time again. Filled with lots of colorful vocabulary words (wrenches, fiddles, tweaks, and fashions, to name a few), The Most Magnificent Thing gives children a great example of how one child deals with frustration and recovers from a string of mistakes, eventually reaching her goal. 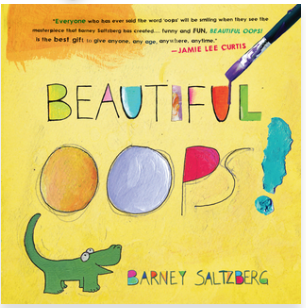 Sometimes mistakes can be beautiful, and this is exactly what author Barney Saltzberg shows children in this humorous interactive book. In Beautiful Oops!, Each page shows how a mistake can turn into something lovely and artistic, teaching children that in every mistake, there is an opportunity. 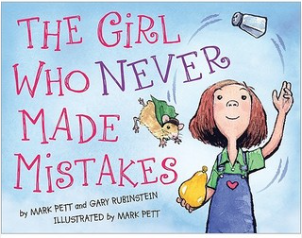 In Mark Pett and Gary Rubenstein's The Girl Who Never Made Mistakes Beatrice Bottomwell never made mistakes. Well, not until it was time for the school's talent show. Beatrice made a mistake. And it was a BIG one. Everyone in the audience was stunned until Beatrice began laughing. Everyone started laughing together and Beatrice realized that making mistakes can actually be fun! 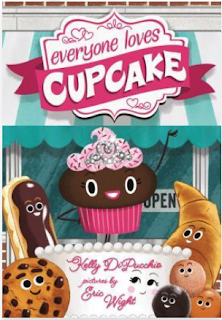 In the story, Everyone Loves Cupcake, by Kelly DiPucchio, Cupcake works hard at trying to get everyone to like her. She worked extra hard at being perfect, but the pressure to be perfect wore on her over time. Eventually, she decided to share with her friends the real Cupcake, and her friends love her so much more for just being herself instead of always trying to be perfect! 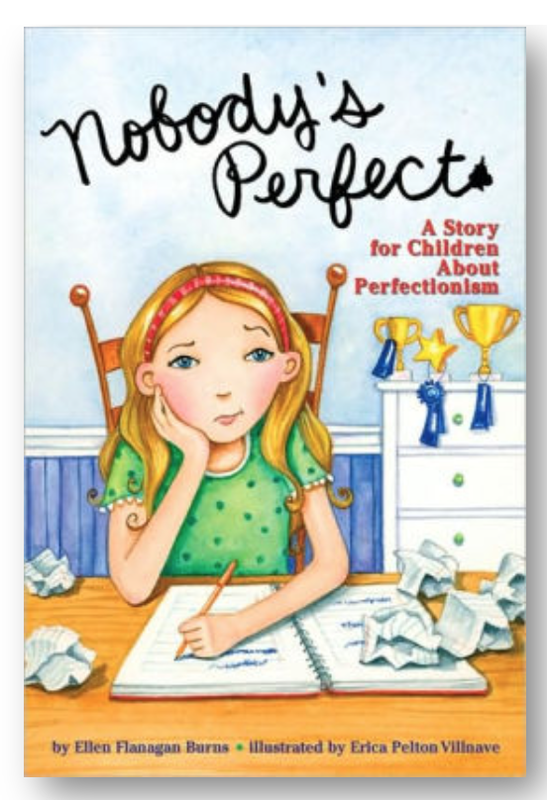 In Nobody's Perfect: A Story for Children About Perfectionism, by Ellen Flanagan Burns, you'll meet Sally Sanders, a girl who is good at everything she tries. The problem is, she's always afraid that she will feel like a total failure if there's every something she's not good at. Thankfully, Sally's mom and teacher are there to help her see that she doesn't have to worry so much about always being the best. 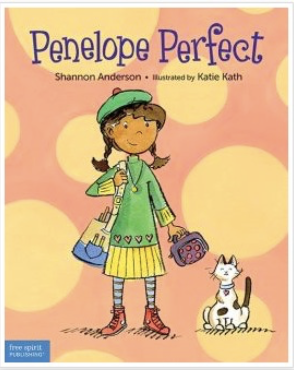 Best for children aged five to nine, Penelope Perfect: A Tale of Perfectionism Gone Wild by Shannon Anderson is a humorous book about a young perfectionist girl whose accidental oversleeping sets off a chain of less-than-perfect events for the day. She ends up being able to laugh at her mistakes, learning that it's okay to go with the flow sometimes and that the world won't end if she's not perfect. Includes tips for parents and teachers about how to help the Penelopes in your life. 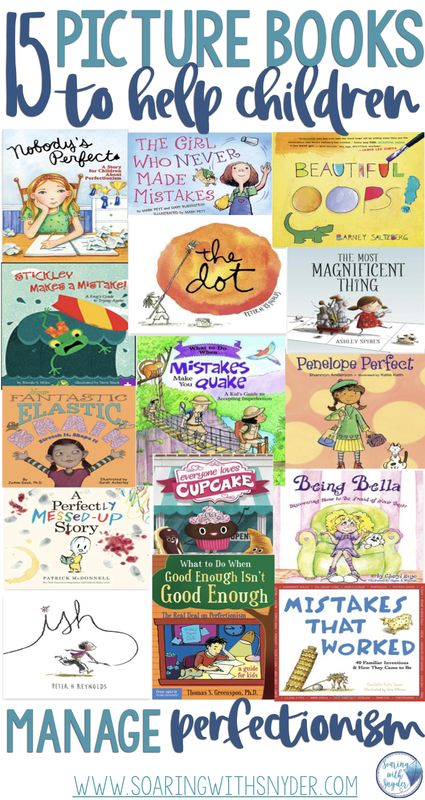 Some of these you may love, and some might seem a little contrived, but I think the biggest value in using these books in the classroom is that it helps to develop a narrative about accepting and valuing mistakes. My hope is that children will eventually be able to incorporate these ideas as part of their own internal dialogue someday. Got any other recommendations? I'd love to hear them! Send me an email at jen@soaringwithsnyder.com or connect with me on Instagram or Facebook.